Sew Can Do: Heavenly Fabric Shop Summertime Crafting Giveaway! 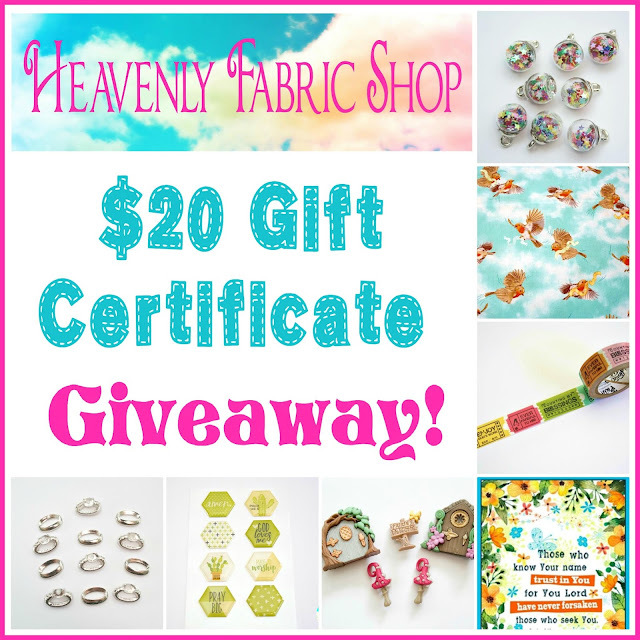 Heavenly Fabric Shop Summertime Crafting Giveaway! Summer is nearly here and I'm hard at work on some new tutorials and projects now that things are settling down with the homeschool year & the new baby. 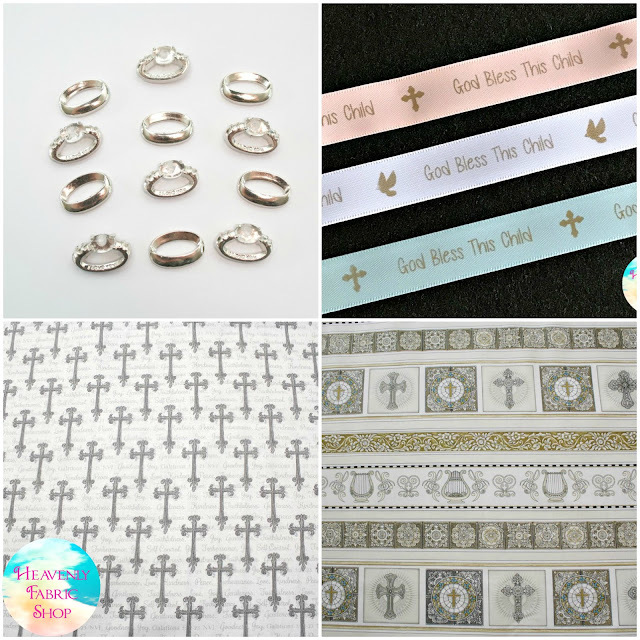 While I'm busy working, I'm still eager to celebrate the upcoming season with new craft goodies for my crafty friends...so here's giveaway for a little shopping spree of fabrics and supplies from my Heavenly Fabric Shop! 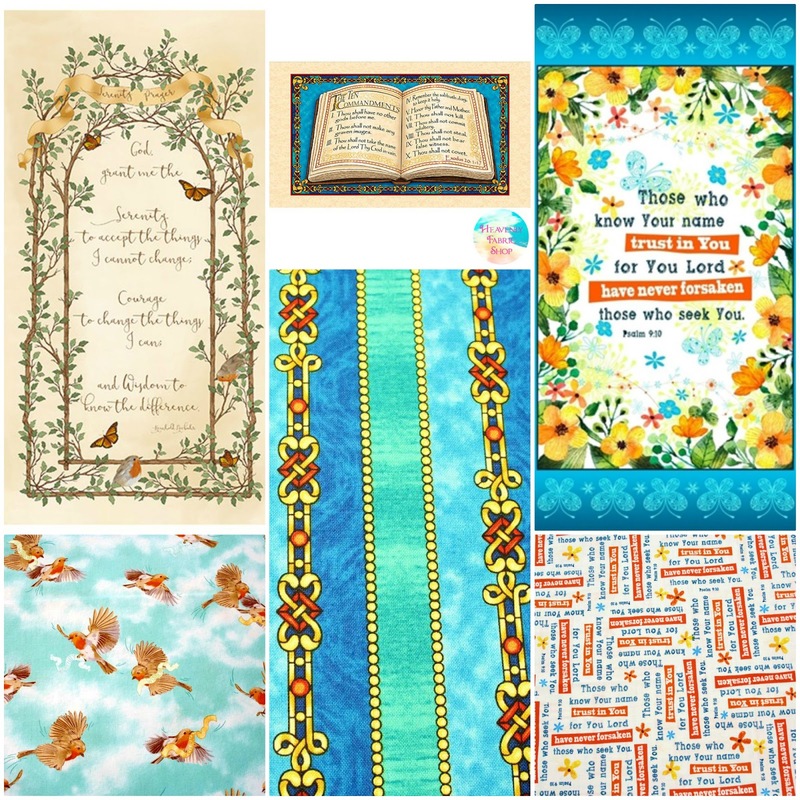 My shop offers spiritual and inspirational fabrics, sweet notions & unique crafting supplies. 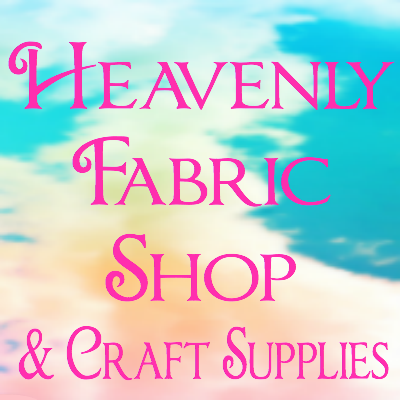 $20 Gift Certificate to Heavenly Fabric Shop! Since my shop ships to both the US AND Canada, the giveaway is open to both countries too! 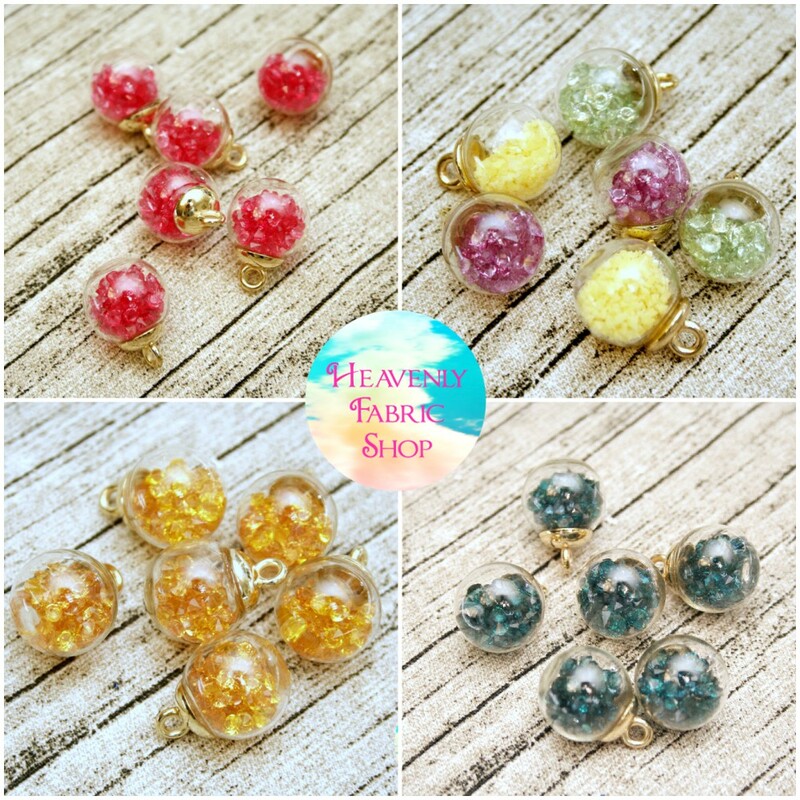 One of my favorite new products: Glass Bubble Ball Beads. These beautiful glass beads are filled with sparkling crystals and come in loads of colors. They make gorgeous (and easy) DIY jewelry, wine charms and add extra bling to all sorts of projects. 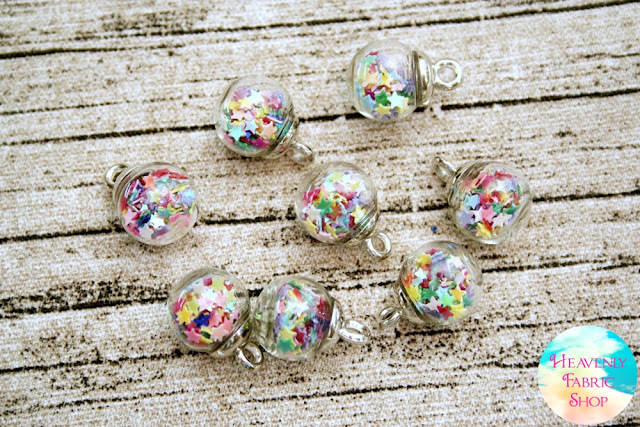 There are also mini Bubble Ball Beads like these in the Unicorn Rainbow color way. My 8 yr old daughter just LOVES them - they're a huge hit for summer projects to do with the kids. 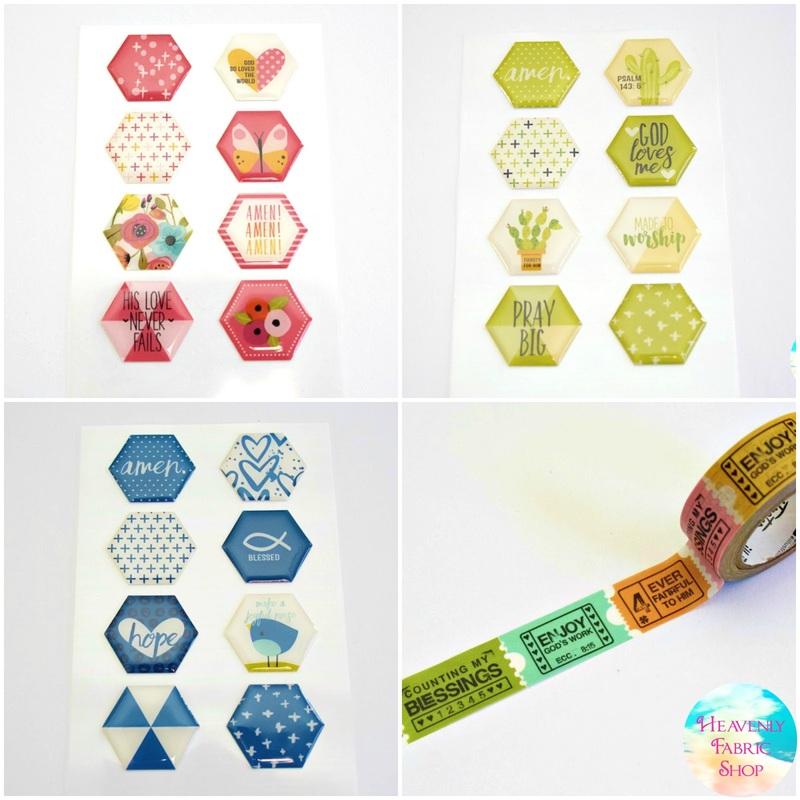 The shop also carries fun items for crafting, scrapbooking & Bible journaling like these dimensional epoxy stickers and washi tape. So many crafting possibilities. What would you choose??? I would buy Stonehenge Joy To The World Ombre Cloud Cotton Fabric Panel. It's beautiful. The fabric is wonderful. Also, would love the Illustrated Faith products and the Bubble Ball Glass Bead Charms are so pretty. It would be a hard decision. Thanks for a chance to win. I would probably choose Noah in the Water fabric if I won. What a fun shop! I would love to get the mini Bubble Ball Beads. I would get some of the Benartex Starry Heavens. If I won, I might get some of the Love Where You're Going fabric and some of the Mini Bubble Ball Candy Rainbow Glass Bead Charms. The fabric is beautiful. 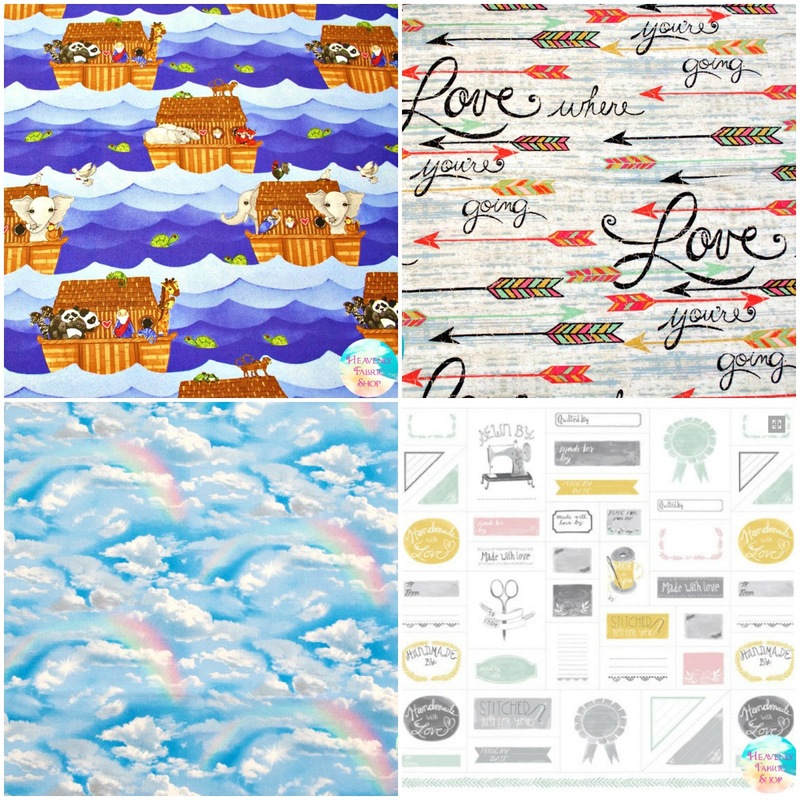 I think I would choose the Rainbow Sky Cloud or the Starry Heavens fabric. The one in a melon love never fails washi tape is awesome! Not sure what else to choose! I would choose the Henry Glass Covered in Truth fabric panel. There is so much to choose from! I like the I Love You To The Moon and Back fabric. It would make a fun pillow for the master bedroom. Those mushroom house buttons are adorable. I would just have fun shopping if I won. Saved to my fav shops so I can come back. I love many items in the shop, but a favorite is Stonehenge Joy To The World Ombre Cloud Cotton Fabric Panel. The color gradation is beautiful! I really like the Quilting Treasures Heavenly Doves in Chambray Blue Print Cotton Fabric.